It could easily be said that there has been no more exciting time for children’s books than now. 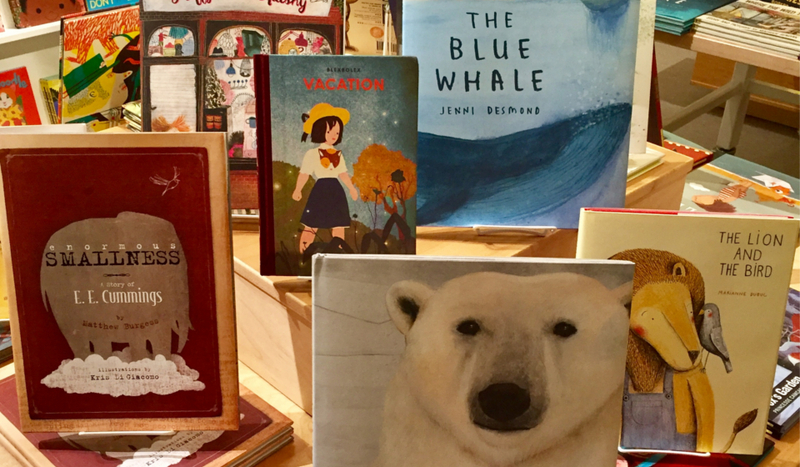 The world has embraced the importance of books in a child’s life, and as a result, there is a treasure trove of delightful, enlightening and imaginative books available today. There are a multitude of publishers of wonderful children’s books, but I would like to highlight a very special family owned small press that publishes the most delightful books that I absolutely adore. Enchanted Lion Books is located in the Red Hook neighborhood of Brooklyn, NY, a neighborhood that once was named as one of the most impovershed and dangerous in the country. Red Hook has experienced a dazzling revitalization and Claudia Bedrick and her family run their business out of an old brick building in a block shared by a community garden and a wine shop in this lively and diverse neighborhood. The books that are published by Enchanted Lion Books include a variety of international authors, unique and serendipitous subjects, and whimsical illustrations. Publisher Claudia Bedrick has said that what she looks for in a children’s book is a vitality of line that dances on the page and books that communicate an enthusiasm for language. We have a wonderful selection of Enchanted Lion Books at Interabang right now, waiting for you to discover. Here are just a few.